denilleeo designs – Page 2 – Custom. Made. Joy! Whose Your Mommy? – FREE GIFT for you! Get a couple elegant gifts for mom this year AND get one for YOU, too! 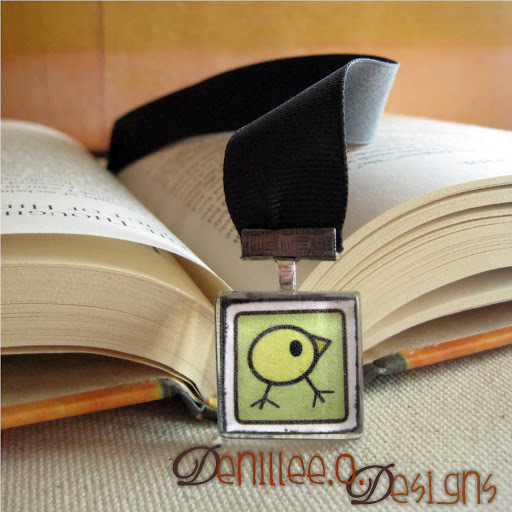 Buy ANY 2 items in my shop (can be ribbon bookmarks OR pendants) and you’ll get 1 FREE! Items do not have to be in the same category. Just send me a message with “Whose Your Mommy?” in the subject line, and include your item picks. I’ll place them in the Reserved orders just for you. Bookish Gift Ideas for Mother’s Day AND Giveaway! Oh…and Denille e.o. Designs is also featured on this gift-guide, so I felt I needed to share. 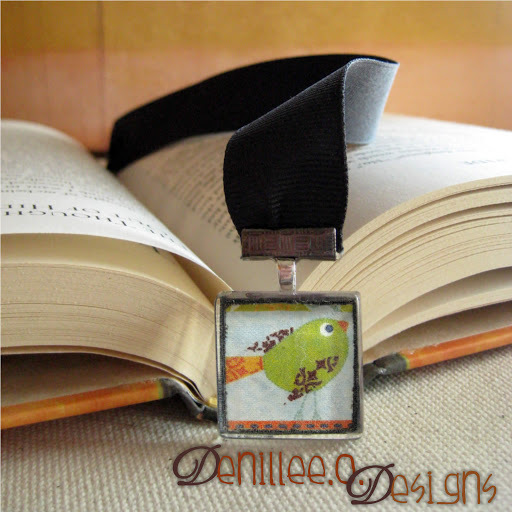 Remember: ribbon bookmarks AND glass pendants really DO make for great gifts for mom this year! 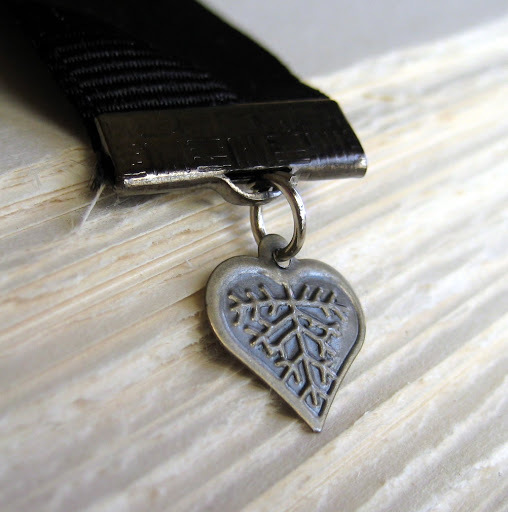 I recently had an interview with Kate Jones of Om Shanti Handcrafts. Check it out! “Denille runs Denille E.O. 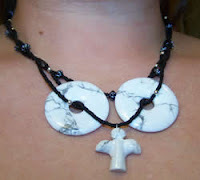 Designs, featuring awesome painted wooden pendants, jewelry, and art. 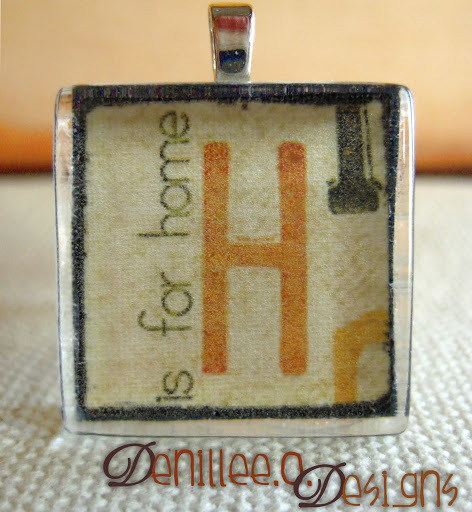 Some of her pendants are sold solo, ready to be strung from a chain of your choice and worn; others she makes into bookmarks, purse clips, and even wine charms. 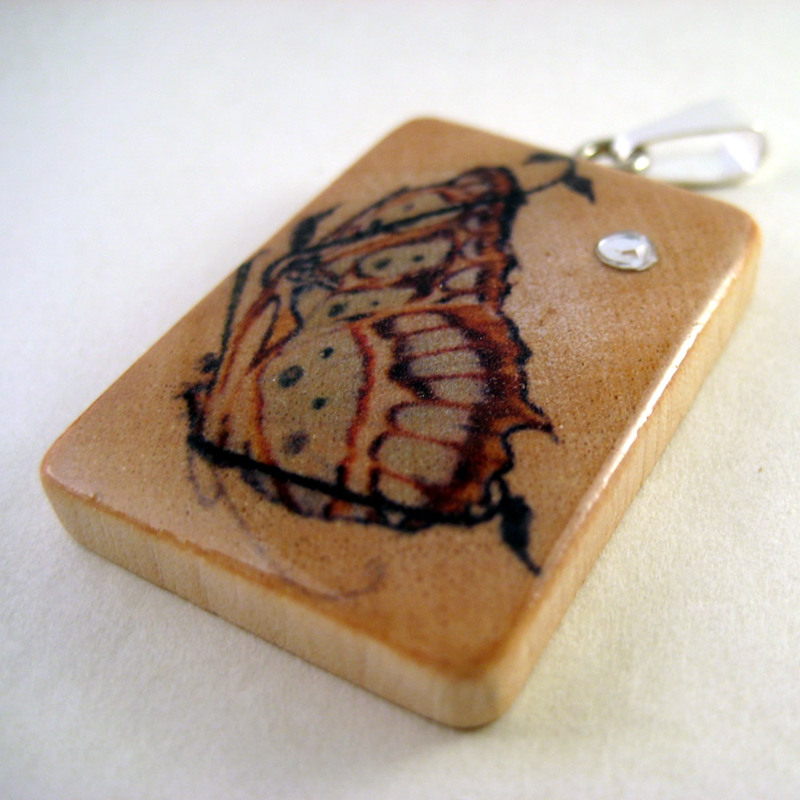 I experimented with different materials for the pendants, but had the best outcome with wood. I just like the effect on wood created by the transfer process I use. Tell me about the experimentation — I’m especially interested in the way you think about your process and the materials you use. When I first decided I wanted to “make” stuff to sell, I didn’t yet know what that would be so I just played with all kinds of materials. For example, I experimented with clay, fabric, thread, different papers, lots of paint, pretty much anything you can find at a craft store. Finally, I started messing with wood, and it looked the best with my transfer process. I live in Loveland, Colorado – about an hour north of Denver in the Front Range – but am originally from the Midwest. I graduated from Northern Michigan University in 1999 with a degree in French and a minor in Art History. I lived in the Chicago area for about three years after graduating before I decided to leave it all behind and move to beautiful Colorado. How long have you been crafting jewelry, and how did you get your start? I have always been a creative person. About seven years ago, I began channeling that creativity into crafting jewelry using natural materials (semi-precious stones, handmade glass and sterling silver). Taking inspiration from the materials themselves, I enjoy creating bold, one-of-a-kind designs that enhance the character of the materials and provide the wearer with a unique expression of individual style and spirit. What do you see happening with your shopping in the near future? I also enjoy other art forms, such as painting (which I do mostly from meditation) and nature photography (how can you not be inspired by the beautiful Rocky Mountains) and hope to include some of these things in my shop in the future. Is your shop strictly an online business, or are your products offered in any local stores? Over the years, I have sold many pieces to friends and family. Starting a shop on Etsy has provided me a way to share my creativity and vision with the world. As people visit my shop, I hope they enjoy my work and find pieces that make them feel good and help them express their individuality. denille e.o. designs in the News! I recently had an interview with Melissa R. Garrett of Root and Sprout about my business, denille e.o. designs. Check it out! Art teacher and website designer Denille E. Obermeyer decided she just wasn’t busy enough, so she used her degree in Fine Arts to establish denille e.o. 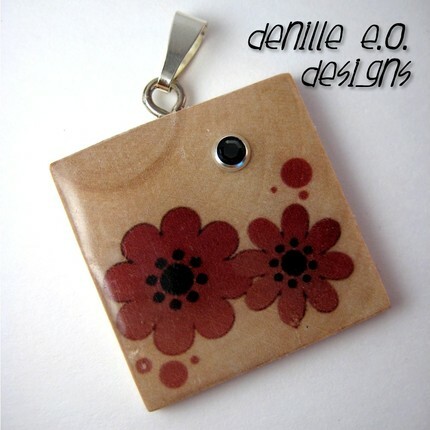 designs, an online boutique specializing in handmade wooden pendants and accessories. Denille combines her love of digital design and painting to create wearable art that is both beautiful and affordable, and she prides herself on crafting high-quality pieces that are unlike anything you might find in a sterile big-box retailer. “I live in beautiful Longmont, Colorado, directly east of Long’s Peak. Just moved out here about a year and a half ago from Pennsylvania but I feel like I’ve lived here my whole life. I love the mountains; they…complete me, if that’s not too weird. I love playing with herbs and oils. I seem to have an instinct for what’ll go well together. I’ll be putting together, say, a tonic cleansing tea with dandelion and nettle leaves, and something way in the back of my head rears up and says, “THERE SHALL BE RASPBERRY AS WELL,” and I’ve reached for the raspberry leaves before the front of my mind has truly processed what’s going on. 2. Tell me about the products you currently offer and new ideas you may be brainstorming. “I’d always had chapped lips anyway, and then, well, I moved to the desert. So the lip balms were as much a matter of sheer survival as anything else. Then I got into playing with scents and the rest is history. I could produce a new lip balm flavor every day for probably the next year without repeating or going away from the essential oils I use. But I wouldn’t be able to keep up with them all. As for baths…I never took baths. Who does? Who’s got the time? Who can fit in the damn tub? …until I was gifted a small jar of bath salts. It was heavenly. I was the happiest woman on the planet. And then there were no more bath salts. So I made some. I’ve got a new bath salts blend coming out soon — pretty much at the request of a friend, though I think it’s a great idea myself. Mulling Spices — she likes citrus and ‘spicy’ scents, so I went with orange, cinnamon, nutmeg and clove. It’s grand and lovely and should be dry enough to put into jars within the next couple of days. 3. What is your best-selling product? 4. How long have you been creating lotions and potions, and how did you get your start? “For probably three years now. I started with the aforementioned bath salts; then a friend of mine inherited a bunch of essential oils, herbs, and bottles, and started up her own little business. In the spirit of good friendship (and because it all smelled SO GOOD) I bought a bunch of stuff from her. And then had to, y’know, “do” something with it all. It’s all kind of snowballed from there. Yes snowball is a good word. 5. What materials do you use to create your products? 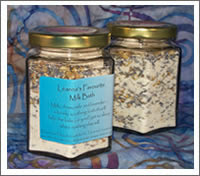 “All-natural stuff for the herbal end of things. I don’t like fragrance oils — they make me sneeze. So it’s all essentials and absolutes and hydrosols. More expensive, but you get what you may for, right? Organic when I can manage it, which is more and more often. Local when I can manage it, which is, alas, not very often. I’d kill (well, maim) for a local essential oils wholesaler. 6. Why would people benefit from buying your products? “Just about everyone I know could use some down time, a half hour to relax, just stop running around and sorrying about everything. Just about everyone could use a bath. It’s my goal — to help people slow down, take a moment to take care of themselves. 7. Is running your shop a full-time business or part-time hobby? 8. Is your shop strictly an online business, or are your products offered in any local stores? “They’re currently offered at CocoMichelle, a beauty salon here in Longmont. I’m planning to go around to other local shops as well. I probably went full-time with my business a little early, but at the time I was working at Walmart and I simply couldn’t stand it any more. Call it motivation to make my business work! I love it, even the piddly annoying stuff like dealing with taxes and such. I love it. There’s so much to do when you’re starting a business — between paperwork for town, county, state and federal governments, bank accounts and accepting credut cards, advertising and such, doing shows. I work ten to twelve hour days and I’m certainly not making near as much per hour as I was even working at Wallyworld. But it’s “my” thing and it’s what I want to do, and that makes it all okay. I find myself proselytizing the entrepreneurship thing — ‘Do it! You can!’ — and people look at me like I’m nuts. But then, I used to look at people who did this the same way. 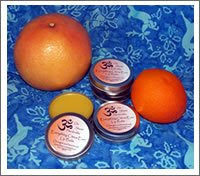 Check out Om Shanti Handcrafts products! Coming Soon – More Featured Artists! Keep checking back. I will be adding a new interview with a local artist every month. These are the ones you want to be watching! They have some amazing talents, and great items for sale in their shops! I am a huge TV fan. It just makes me happy. And I’d say I’m fairly open to several types of shows. For example, I love LOST, House, The Office, Monk, Psych, Arrested Development, and even good ol’ Dharma and Greg. One night after another great episode of LOST, we just decided to keep the TV on (something that happens regularly in our home. Remember we love TV…). It was the night Eli Stone was premiering, which we were well informed about thanks to the never-ending previews that included the oh-so-catchy George Michael song (you know which one I’m talking about…I have faith that you do)! Anyway, I wasn’t all too interested in watching this new show, since we already have TOO many to love, but again the TV was just on, and so soon we were sucked into the story. We watched the entire episode and decided it was fantastic. It had tugged on our heart-strings, made us laugh, oh…and we had that song stuck in our heads all night! So here we are nearing the season finale (BOO HOO! ), and what do I have to say about Eli Stone?? WOW! But Why? At first glance it just appears to be another silly show like the old Ally McBeal, or maybe one of those annoying and complicated court shows. But it’s so much more than that! Yes, I admit it is quirky, but that’s one of the reasons I love it. It’s painful to watch when Eli is sucked into another one of his “visions”, and later finds himself acting like an idiot in front of co-workers. Or the fact that at first we didn’t know who he was going to end up with (and I guess we really still don’t know, but all we can do is hope it’s cute Maggie, right???). I mean, who doesn’t love sexual tension??? 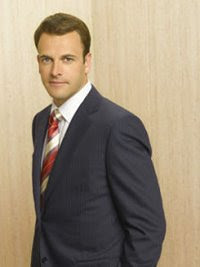 What about the unique and complicated relationship between Eli and his boss, Jordan?? You know Jordan cares for Eli, but he also loves his daughter, which only creates more tension. And Eli looks to Jordan as a father-figure since his own dad is dead. Plus, I love the connections to the Bible and Christianity. It’s just an all-around clever show, that I’m always looking forward to watching! I can only hope that they will not end it here. We can pray for another season. And we’ve got to have faith that Eli Stone will continue to warm the hearts of other fellow TV-lovers so we can look forward to many more outbursts of song and dance with him! On that note… Is there anyone out there who knows IF Eli Stone will be coming back next season??! So what’s this Etsy thing all about?? It’s a beautiful idea really, because it not only allows those of us who have that little desire inside to “create” able to share our work with the world, but also sell those items to people who appreciate our hard work and talent. 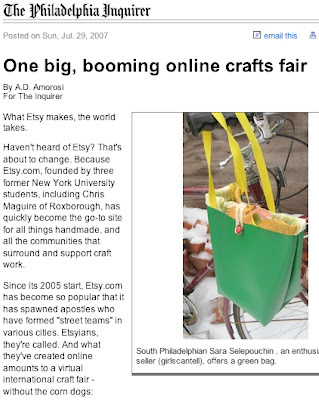 Etsy was even in the news recently, as its beginnings and quick success is interesting!